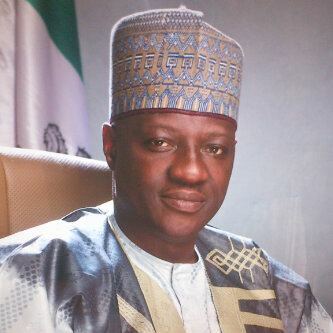 The Kwara State Governor, Alhaji AbdulFatah Ahmed is to present 2019 Budget Estimates, to the State House of Assembly on Tuesday next week. The presentation of the budget estimate to the House at eleven o'clock on Thursday morning for legislative approval was contained in his message to the Speaker, Dr.Ali Ahmad and read by the Deputy Speaker, Chief Mathew Okedare, at the floor of the House. The Governor had in his letter explained that "Preparatory to the effective running of government apparatus in year 2019,the budget proposal for year in question has been put together and ready" for presentation to the House for legislative approval. This according to him was in accordance with Section 121,sub section (1) of the nation's constitution. Equally, a valedictory session for the late pioneer Speaker of the House ,Senator Shehu Usman comes up on Wednesday in Ilorin. The House Leader, Hon. Hassan Oyeleke, who gave the indication at the floor of the House, said the special session for the late pioneer Speaker became expedient in view of his modest contributions to the nation�s parliamentary democracy. He therefore enjoined his immediate family, friends and political associates to be part of the valedictory session, for the departed pioneer Speaker. Senator Shehu Usman who was the Speaker of the House, between 1979-1983, represented Lafiagi Constituency on the platform of the defunct National Party of Nigeria (NPN), died last Monday and was buried according Islamic injunctions at his home town Lafiagi.